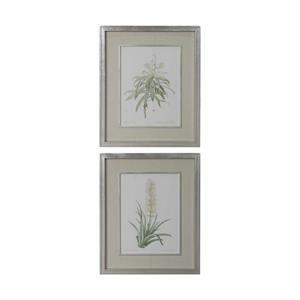 These traditional, botanical art prints evoke turn of the century libraries and classic texts. 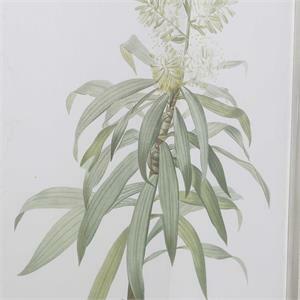 Both include shades of white, cream, black, light yellow, and various shades of green. A beige linen mat compliments each print. 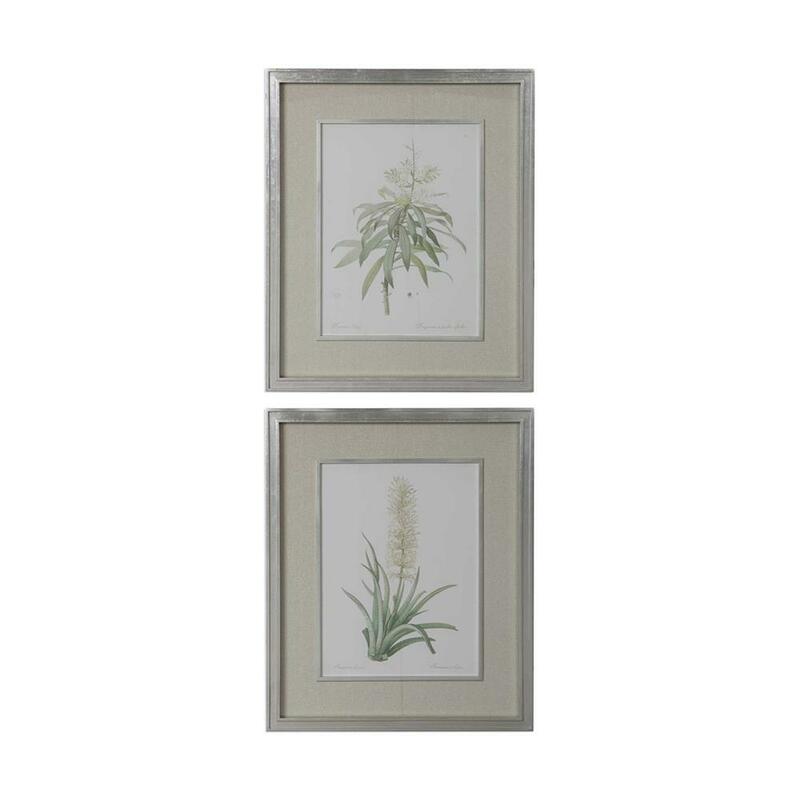 A lightly antiqued silver leaf frame with inlay detailing and matching fillet complete each piece. Each print is placed under protective glass.